Buhay Bohemio: Into The Busy Season We Go! Into The Busy Season We Go! So how's your first week of December? Preoccupied with the concerns of the coming holiday season I guess. Well I certainly am. The last month of the year brings me more orders, surprisingly even when I'm poor on marketing my products and services hehe. This holiday season seem to be more on shirt printing because I've been sliding my squeegee more since mid November. People are starting to buy more than a single BuhayBohemio shirt - obviously for gifts. 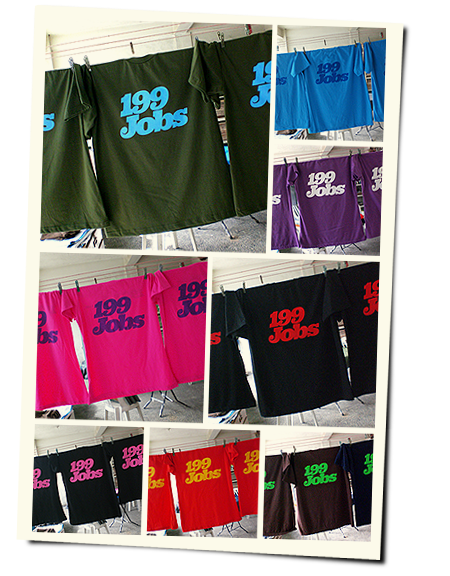 Last Monday I delivered 26 shirts for 199jobs.com. They are giving away these shirts for their top buyers and sellers. Yeah they went tutti-frutti with their shirt colors this time. Why not? Also I've just completed 27 pieces of varied BuhayBohemio shirts last Thursday. A friend of mine joined a bazaar and he will be selling these shirts there. Really I never though somebody else will beat me on first selling my own line of shirts in a bazaar hehe. It's all good anyway. 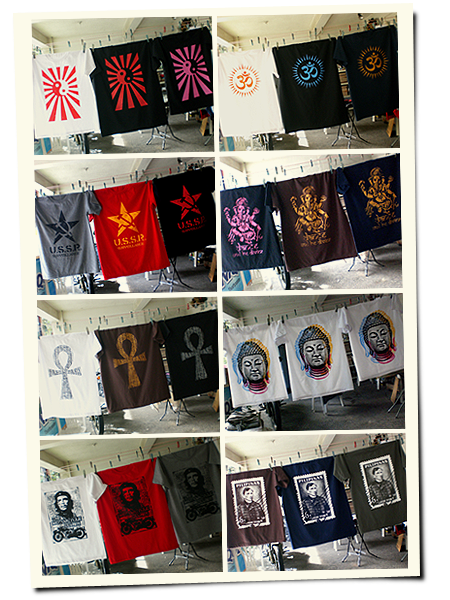 Next week I'll be printing some reggae shirts for another friend who also joined a bazaar. Keep it coming guys! LOL Just enough for me to enjoy the Holidays.